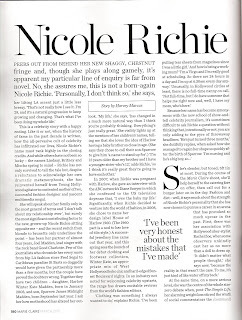 Nicole Richie is the covergirl for UK Marie Claire March 2010 issue. You can see the high quality photoshoot here. 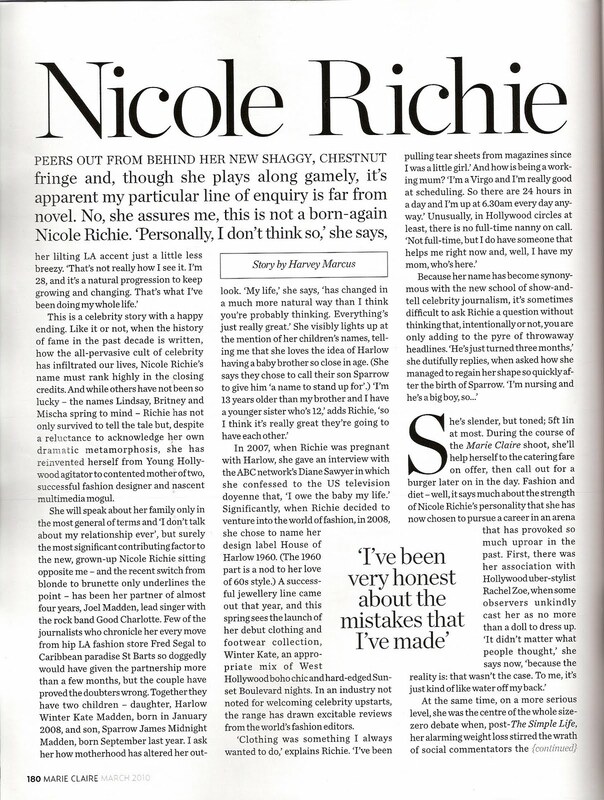 Thanks to an NRichieNews fan, I have the full scans of Nicole's interview with Marie Claire. Click on the images for higher quality viewing!